Honda has unveiled new electric motorbikes: an electric dirt bike and a small electric scooter. 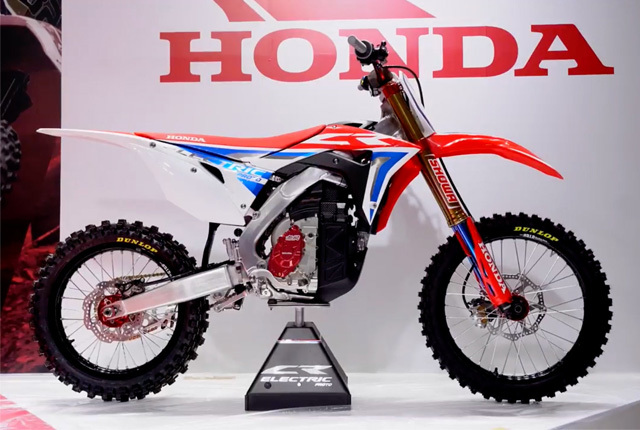 The electric dirt bike – called the CR Electric, and pictured above – is modelled to look like one of its current petrol-powered CRF bikes, but uses a Mugen-developed electric motor. Honda did not reveal much information on the bike, and no power or range figures were available at the time of writing. Reports stated that Mugen has also worked on electric race bikes which take part in the Isle of Man event, which bodes well for Honda fans. Honda also took the opportunity to unveil the Benly Electric, an electric delivery scooter which uses the same batteries as the PCX Electric maxi scooter. The batteries are swappable and allow for the bike to be used without having to wait for a recharge, by simply placing a pre-charged battery pack in the bike. This feature is aimed at courier companies which cannot afford to wait while a delivery scooter recharges. 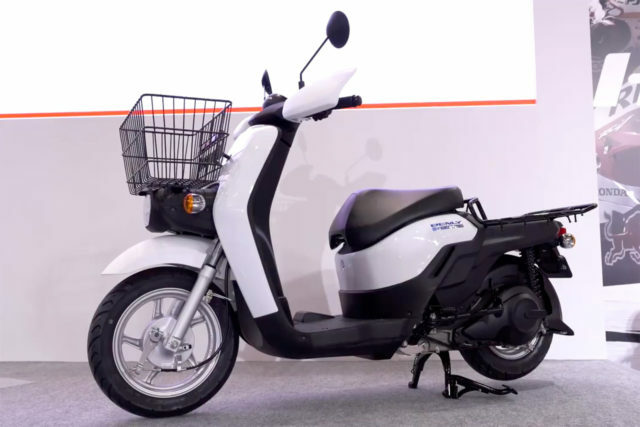 Honda’s electric scooter is shown below. The new bikes from Honda follow a string a big motor vehicle brands unveiling electric cars. This includes the likes of VW, Audi, Porsche, BMW, Jaguar, Mini, Aston Martin, and Nissan. VW stated that it plans to build 22 million electric vehicles over the next 10 years and wants to overtake Tesla as the number one player in the market.